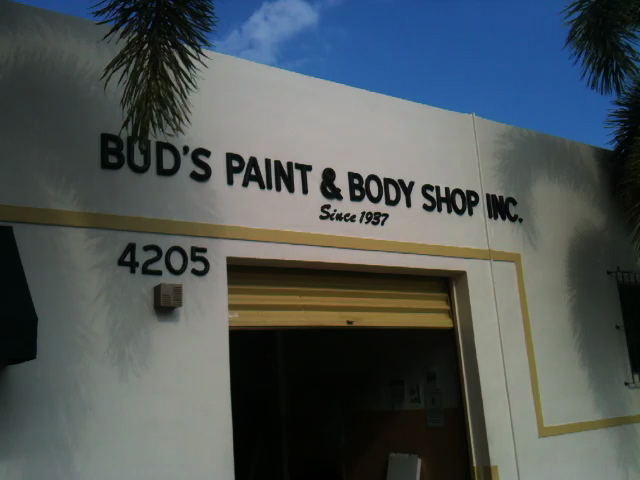 Bud's Paint & Body Shop - Better Auto Painting since 1937! We are a fully certified and accredited auto repair shop. We work with all insurance companies to assure you of a prompt and safe delivery of your vehicle. When you drop your car off, there are several car rental places in the vicinity, allowing you easy access to pick up or drop off your car.